Warner Bros and Blockbuster in DVD/Blu-ray rental ding-dong | What Hi-Fi? Rental chain Blockbuster will no longer get the latest films from Warner Bros because it refuses to honour the "28-day window" between the date new DVDs and Blu-rays go on sale and the date they are available to rent. 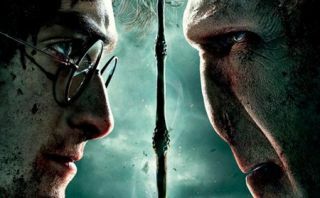 Warner Bros has refused to give Blockbuster its latest films, including The Hangover Part II and the final Harry Potter movie. It's the boldest move yet by a Hollywood studio trying to revive flagging DVD sales. Physical films sales fell 19% year-on-year in the first quarter of 2011 to about £1.3bn, in a period when home streaming grew rapidly. In an interview with the Financial Times, Kevin Tsujihara, president of Warner Home Entertainment, said: "[Blockbuster] felt it was important to continue to offer day and date rental, so rather than work with us they went around us." "The question is: how do we make ownership more valuable and attractive? We have started the process of creating a window in bricks-and-mortar DVD and Blu-ray rental." The move to extend the controversial "window" between DVD sales, and film availability through rental and streaming services, is llikely to be hotly contested by the likes of Netflix and Redbox in the US, as well as Blockbuster. Netflix is planning to launch its film streaming service in the UK and Ireland in 2012.